Oh em gee ladies, isn't it just like, the literal worst when you go to a pub and you don't fancy a prosecco and there's no Aperol spritz and only beer left, but ew! It's beer - it's heavy and too fizzy and just, yuck. No. We might as well just go home and wash our hair because there is literally nothing for us here. Well, praise the lord for Aurosa who have created a beer for women! Beer company Aurosa knows that us gals don't like holding big ol' pints, and that beer is just not a cute colour, and thus have created a brew that is in line with our requirements: beer 'For Her', in a pink marble bottle that we can spend hours Instagramming - and hey, if it's marketed towards us, I bet you we have to pay the price for such a luxury. Founder Martina Šmírová told Munchies that she created the beer "to prove that women can succeed anywhere without having to adapt and sacrifice their natural femininity". Which is fine, except that it's under the assumption that all women want to drink are light beers from a pink bottle. One critic also pointed out that splitting up beers by gender just furthers the sexism that is obviously still rife in the brewing industry. Šmírová offered a rebuttal to the criticism in a Facebook post, stating: "Aurosa was never intended to take part in sexism, feminism or the like. It was never intended to dictate what women should or shouldn’t drink. We are simply a brand that wants to offer beer in an elegant and beautiful bottle, something that has not been done before, for those women who want it and whose lifestyle we fit." And when a bottle is that pretty who cares about the beer inside it! 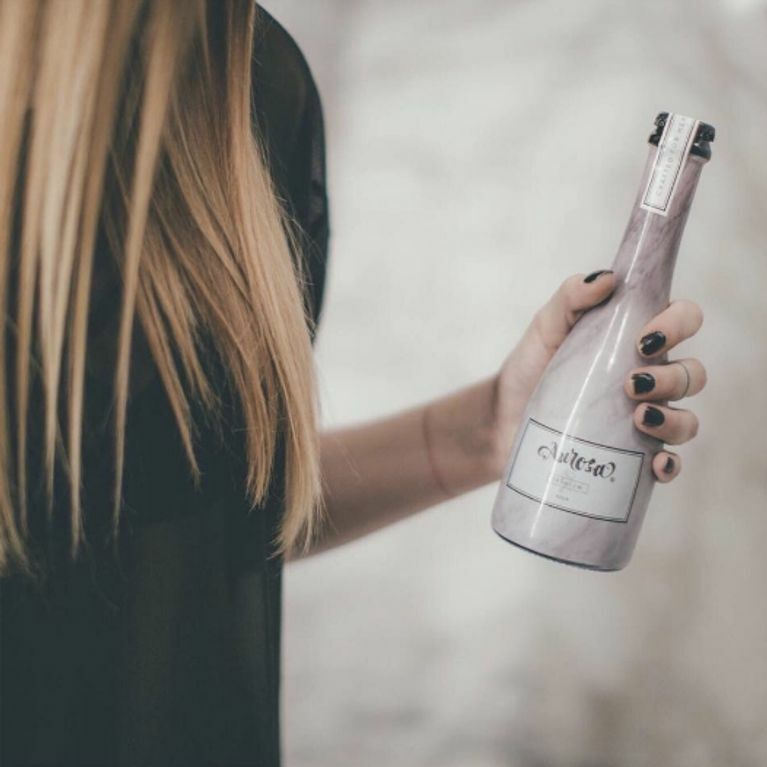 So, you can own the most female and Instagram-friendly beer around for just €10 a bottle. Yup, we earn less and our beers are more expensive YAY.